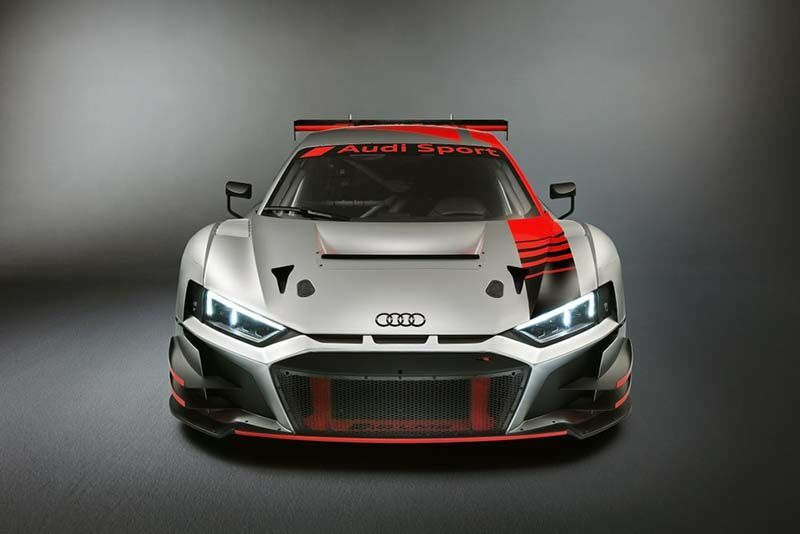 Audi's new R8 LMS GT3 Evolution customer racing car has been updated, and it looks more aggressive than ever. Modern GT3 cars are extremely aggressive-looking things, the Audi R8 LMS certainly had the aero rage box ticked, but now, there’s an ‘evolution’ version, and it’s downright terrifying to look at. It was revealed at the Paris Motor Show this past week, and it’s sure to leave competitors quaking in their racing boots. Even without the changes, the current R8 LMS remains an extremely competitive car. Belgian outfit, Audi Sport Team WRT, one of many currently fielding R8s, tops the 2018 Blancpain GT Series team leaderboard and won the Bathurst 12 Hour back in February.